Comcast went ahead and updated its Xfinity TV Player app today, with a complete rebranding to Xfinity TV Go. 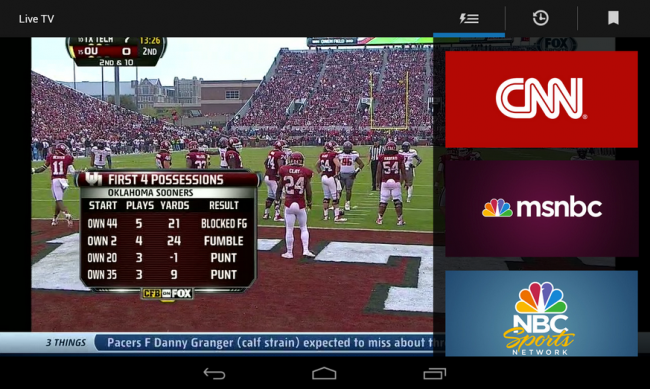 With TV Go, all Xfinity subscribers can now watch live TV from select networks on any Android smartphone or tablet. Once you open up the new app, that even has a fancy new icon, you will see a new “Live” tab where you can watch some of your favorite shows while connected to WiFi. Verizon customers got the hookup, and Comcast is allowing Big Red users to stream TV over 3G and 4G LTE connectivity as well. All other carrier customers need to be on WiFi. Some of the more popular networks are supported, such as CNBC, A&E, Adult Swim, Watch ESPN, TBS, TNT, etc etc. The list is quite extensive.